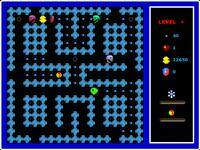 PacBoy - download Pacman game. Pacman download. PacBoy is a remake of a popular classic game, Pacman, in which you must eat all the pills on the maze to pass on to the next level. The full version of PacBoy offers 50 levels (different mazes), fine additional music, joystick (gamepad) support and game passwords. This Pacman remake is a beautiful funny game for kids and parents. Retro game fans will appreciate beautiful graphics and breathtaking action in this Pacman game. You'll really like this remake of famous Pacman game! Download Pacboy and have fun playing this addictive game. 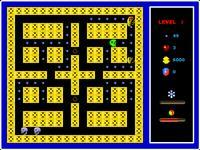 We are sure that you'll like this new Pacman game remake if you like old classic Pacman game.